Nicaragua, the land of volcanos, beautiful beaches and friendly people. 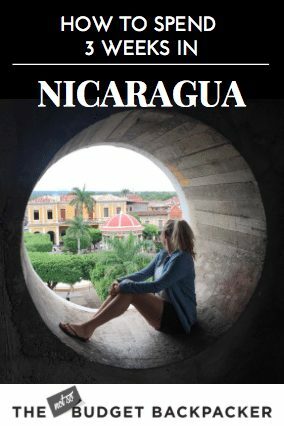 I spent 3 weeks exploring this beautiful country from top to bottom developing my ultimate Nicaragua itinerary. Here are all the top things to do in Nicaragua wrapped up in a handy three-week itinerary. 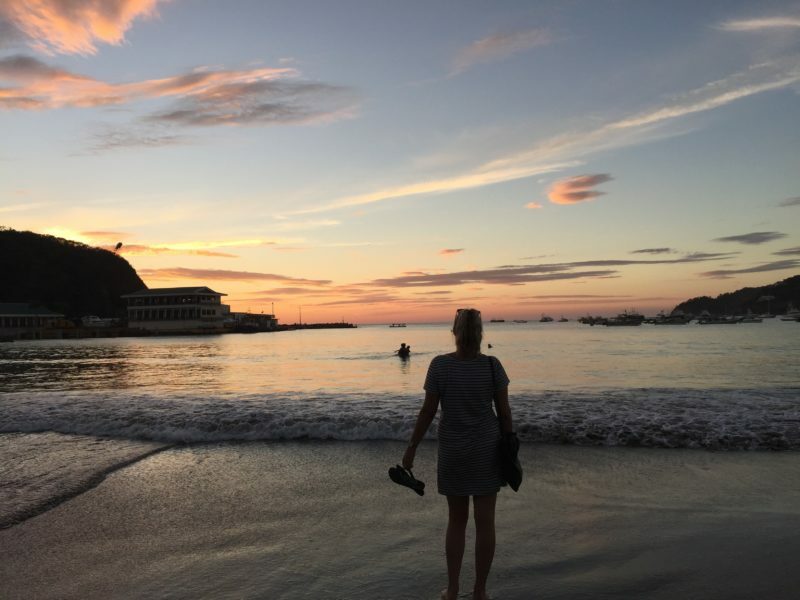 P.S, if you can’t decide on where to travel in this part of the world here’s a great article that compares travelling Costa Rica vs Nicaragua. After a couple of quick days in Honduras we took the 16 hour shuttle to the vibrant city of Leon. One of Nicaragua’s capitals Leon is vehemently political due to its fiery past. And it should be on the top of your list of the best things to do in Nicaragua. 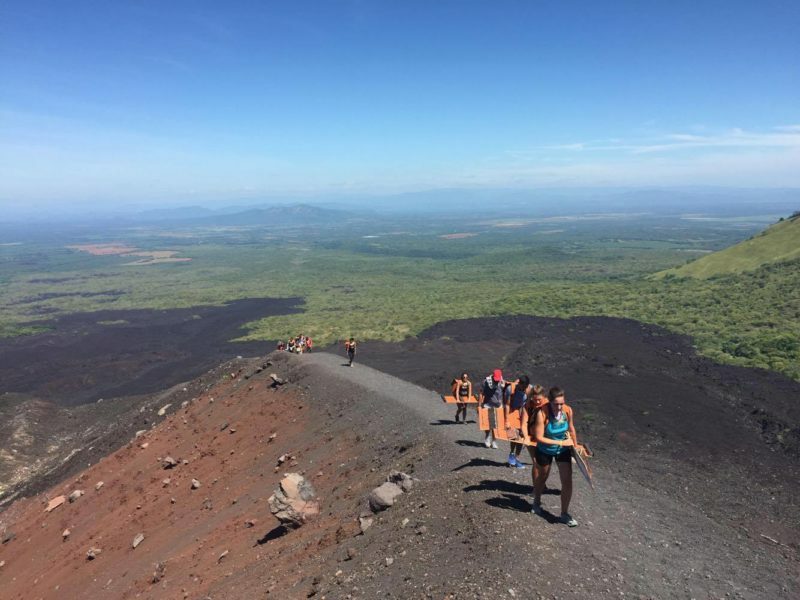 The must-dos include boarding down a volcano at 90km an hour, learning about Nicaragua’s history in a walking tour with Cooperativa De Tourismo, hitting the beach and spending an afternoon at the Museum of Legends and Traditions. I’d recommend spending four nights of your Nicaragua backpacking itinerary here due to the large amount of activities and the excellent party scene. For more info check out my guide on the best things to do in Leon. STAY: Big Foot Hostel. or if they are full you can book at any of the awesome hostels on booking.com HERE. GETTING THERE AND AWAY: We took a tourist shuttle for 16 hours from Honduras. It cost about $30 USD. To get to Granada we took a local chicken bus for about $2 USD. To be honest, after the hostel and bustle of Leon Granada felt a little flat. But once we explored a little further we realised the little colonial town actually had heaps to offer and it definitely needs to be included if you tour Nicaragua. 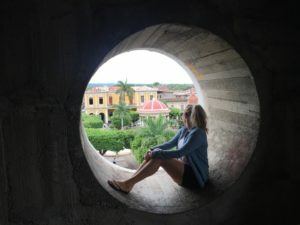 Activities to do here include watching liquid hot magma bubble away in Volcano Masaya, hiring bikes and exploring the colourful town, the Mombacho Cigar factory and plenty more that could read about in my article on the Top 10 Things To Do In Granada. I’d recommend a quick two nights here as most of the hostels are small and not very social. And you can get through all of the activities in that time. Just make sure you stay away from the Isletas as they aren’t worth your time. STAY: We stayed at a small privately run. but you can click HERE to book an awesome hostel with booking.com. GETTING THERE AND AWAY: We took a local chicken bus from Granada for about $2 USD. To get to Esteli, we took a chicken bus to the capital Managua and then another chicken bus to Esteli. It’s a little complicated, but you can read up on it in my article How to Get from Granada to Esteli for Less than $8. Esteli is a magical little spot in the north and is not on the top of many traveller’s lists of where to go in Nicaragua. If you’re a keen hiker or canyoner you can’t miss it. There’s not much to see in the town. However, the main reason people visit is for the Somoto Canyon and to hike the Miraflor. We spent 5 nights here exploring both and I couldn’t recommend it more highly. 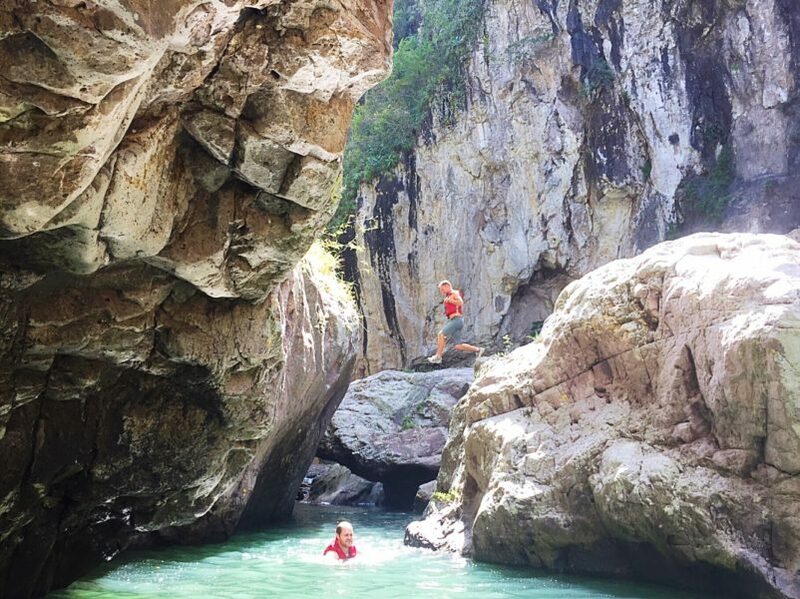 If you want more info here’s my guide on how to organise your hike and canyoning. If you’ve got three weeks in Nicaragua, I definitely recommend including some time in Esteli. QUICK FACTS: STAY: Luna International Hostel or click HERE to book one of the great hostels on booking.com. GETTING THERE AND AWAY: Check the Granada quick facts for instructions on how to get to Esteli. To get away take a chicken bus back to Managua (about 3 hours). Then from Managua take another 3-hour bus to Rivas ($2 USD). Once you arrive at the Rivas bus station take the local bus to the San Jorge ferry port for 10 C or $.50 USD. The taxi drivers will all approach you and tell you there are no buses and the boat is leaving in 10 minutes to try and make you go with them. Ignore them (unless it’s Sunday and there are in fact no buses). Instead, find one of the local stall owners and ask them for directions to the bus stop. If you do need to take a taxi pay no more than 20 C per person ($1 USD). You can also find the ferry timetable here. Once you arrive on the island (in Myogalpa) the best bet is to find some friends and take a joint taxi to your hostel as the buses run really infrequently. Ahhhh Isla De Ometepe… I’ve really got mixed feelings about this spot. On one hand, it’s a beautiful little island with two towering volcanos situated on a lake which is one of the best things to do in Nicaragua. And the perfect place for a DIY cycling tour to see the sights. However, on the other hand, there are just so many spaced-out hippies I felt really frustrated for my entire stay. Things to do include hiking either volcano – Concepción or Maderas (Concepción being the harder of the two), swim in the beautiful hidden lake Ojo de Agua and basically just chill out. STAY: I stayed at El Zopilote but it was filled with aforementioned hippies. So if you’re not into that scene and don’t like lingering hugs you can book an awesome hostel HERE. GETTING THERE AND AWAY: To get there follow the instructions above from Esteli. To get away and on to San Juan Del Sur find some friends and take a taxi to the port. From the port, you take the ferry back to San Jorge and then jump on the bus to Rivas. From Rivas catch the first bus to San Juan Del Sur. It should cost you about 25C ($1 USD) per person and should take about an hour. San Juan Del Sur, once a sleepy little beach town on the Pacific coast is now one of the prime partying destinations and should definitely be on your list of what to see in Nicaragua. I spent almost a two weeks here and discovered there’s a bit more to this gem than it’s famous Sunday Funday pub crawl. 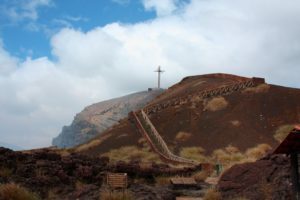 So while you should make sure you’re there on a Sunday to partake in Central America’s biggest pool party, stay a few extra nights and hike to the Christ statue, or take some surf lessons with one of the many schools. There are also a number of Spanish schools and some pretty delicious food options. 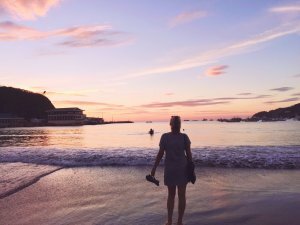 Want the full download on things to do in San Juan Del Sur check out my San Juan Del Sur Travel Guide. GETTING THERE AND AWAY: To get there follow the instructions above from Isla De Ometepe. To get away and on to the Corn Islands the best method is to fly. And while it is possible to get there overland it’s going to take you a few days, few uncomfortable bus rides and 31+ hours on a cargo ship. So, therefore, take the chicken bus back to Rivas and then onto Managua. From Managua, you can take a flight. Now full disclosure here, I didn’t actually make it to the Corn Islands as my travel plans changed. However, from all accounts it’s absolutely stunning and it would be remiss of me to leave it off my ultimate list of what to do in Nicaragua. Activities include very cheap diving, which means it’s a really great spot to get your PADI; fantastic snorkelling; eating uber cheap, fresh seafood; chilling on deserted white sand beaches. 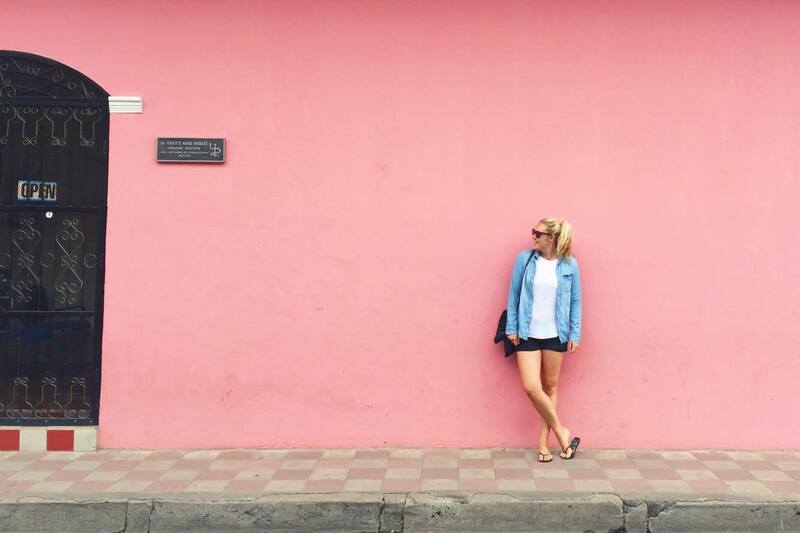 Are you wondering how to budget for your trip? Check out this example travel budget for Nicaragua. Want More Things To Do In Nicaragua? Check Out My In-Depth Guides! This page contains affiliate links which allow me to keep on travelling and providing free content. So thanks for supporting me. All opinions remain my own. I am loving your website and I’m looking for some advice! My boyfriend and I are completely set on a week and a half in Nicaragua for a trip in January. 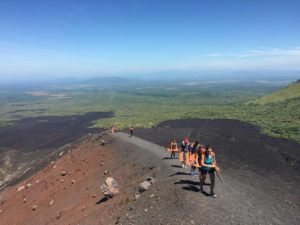 We know 100% that we want to visit Little Corn Island and go volcano boarding, but we’ve been on the fence about going to Ometepe Island vs. going to Esteli and Miraflor. What do you suggest? Hmmm tough question. It really depends on your interests. Omepete is a bit more of a hippy experience. As most of the hostels are eco farms. And you can ride around on bikes and climb one of the two volcanoes there. Then Esteli is a totally different experience. Much more rural, getting to experience how the people live and actually living in their houses for a couple of days. along with horseriding and hiking. You can also do some canyoning in the canyon nearby. Soooo for me I’d pick Esteli as I didn’t love Ometepe. But lots of other people do. Haha is that helpful? 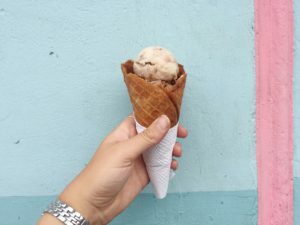 Awesome blog ! Awesome place …sound like this generation type of gateway😍😍😍😎😎💕💕💕💚💚💚 Eco – green all the way !! Thanks for the feedback. So glad you like it!